P.K. Subban has always been a tough cookie to crack and now in his sixth year in the league, that aspect hasn’t changed. Under head coach Michel Therrien, Subban has won one Norris Trophy and was nominated for one more but many think that he has the potential to become even better if only he made the right decisions at the right time. None of that has been more obvious than the last couple of weeks when he coughed up the puck at least three times resulting in the puck ending in his own net, drawing the ire of many fans and coaches alike. When playing for the Belleville Bulls of the OHL, there was no questioning Subban’s talent but NHL scouts were greatly concerned about his exuberance and his high-risk style of play and that’s why 42 times, he was passed before the Canadiens took a chance on him at the 2007 NHL Draft. Granted, if that draft was to be done again, it is doubtful that so many would pass on him like they did back then but the same can be said about every draft. When Therrien was named the Canadiens’ new head coach by GM Marc Bergevin, he was asked about Subban and the newly appointed coach qualified the young defenseman as a stallion needing grooming. He stated that older lame horses will finish the race 8th or 9th but the stallion will get you the wins. Therrien did acknowledge that it would take a lot of work from the rider. He couldn’t have said it better and that’s what he set himself to do. While some will claim that Subban became a Norris calibre player on his own or worse, that he did it in spite of Therrien, it couldn’t be further from the truth. The coaching staff worked very hard to make him understand that passing the puck is a faster and more efficient way to get out of your own zone. They worked hard with him on his defensive play and we are seeing the difference this year, Subban often being relied on late in games or on key penalty kills, something we would have never seen in the past. However, the current coaching staff appears to have reached a plateau with their star defenseman and his decision making has been questionable at best, undoubtedly the sole reason why he wasn’t named to the early roster of Team Canada for the World Cup for next fall. No disrespect intended for Jean-Jacques Daigneault but he’s not one who commands respect, at least not to a guy like Subban. The Canadiens, Marc Bergevin particularly, must find a coach who has the presence, someone who has been there, done that. They need someone who, if he says something to Subban, he will look up to him and do it. Someone who has won, someone who has played a similar role and if at all possible, with the same team, under the same pressure. 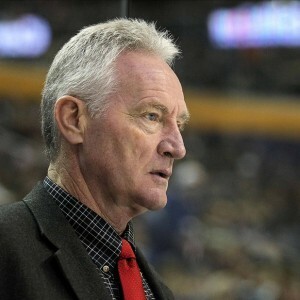 There is only one person that I can think of that would bring that kind of respect, and someone who has the necessary coaching experience to bring Subban to the next level: Larry Robinson. Big Bird has played for the Canadiens through good times and bad times. He was a catalyst on offense. He knows the pressure of the market, he has played the game at an extremely high level and his jersey is hanging in the rafters at the Bell Centre. Robinson has plenty of coaching experience and few others would bring the necessary package of knowledge, experience and respect that he has. Imagine for a second the difference if Daigneault says something to Subban or if Robinson says the same thing. While the message might (or might not) be the same, the perception would definitely not be. Many will remember the 16 years when the Canadiens had Jacques Laperrière as assistant-coach in charge of the defensemen, under six different head coaches. He had back then what Robinson has today, and players respected him and listened when he had something to say. Respect is earned and Laperrière had it… just like Robinson has it today. Your move, Mr. Bergevin.